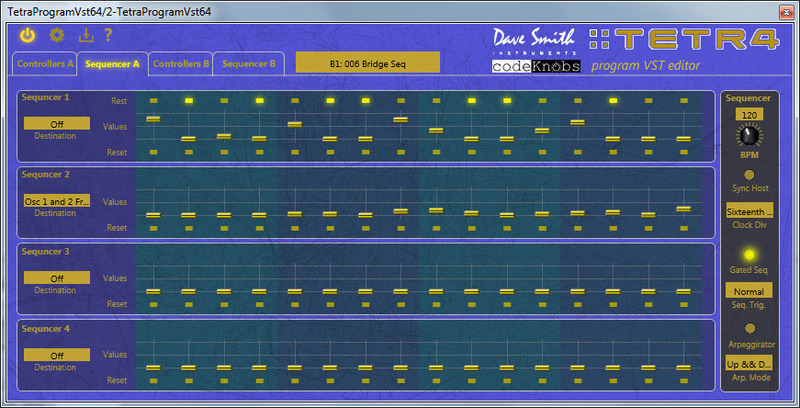 DSI Tetra Program Editor, Other Effect Plug-in from codeKnobs. 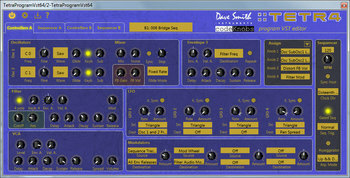 Users of the Dave Smith’s Tetra synth can now edit the program parameters from their DAW on Windows. 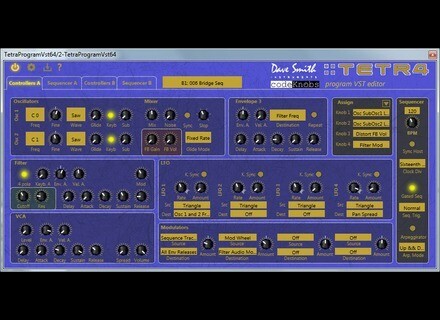 The DSI Tetra Program Editor is a VST plug-in for Windows (a standalone edition is under development, as well as a Mac OS X version) which allows for real time control of the Tetra synth parameters on Program mode. You can use the plug-in to load and save programs on the hard drive and on Tetra, as well as save/restore Tetra programs in the VST tracks in their DAW. 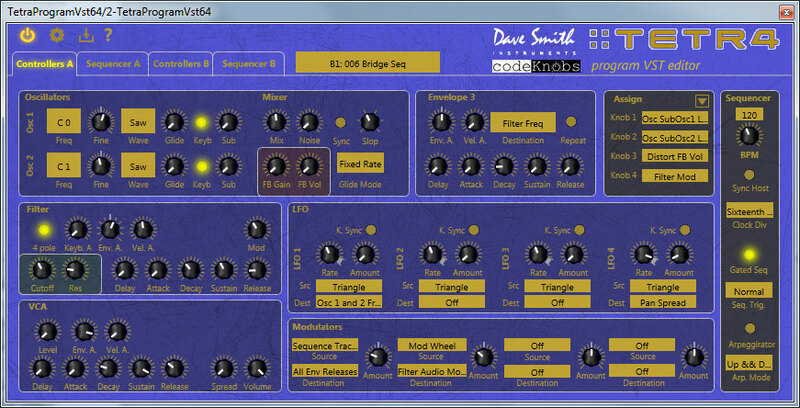 Last, the VST automation is supported. codeKnobs will add new features in the future, including support for external controllers. 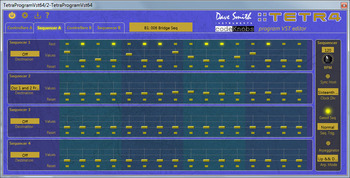 You can test the DSI Tetra Program Editor 32 and 64-bit on Windows or purchase it from codeknobs.com for $29.99. AtomicReverb updated to version 1.2 Molecular Bytes updated its AtomicReverb acoustic processing plug-in to version 1.2. Audulus 2.4 now features iCloud support Subatomic Software gives Audulus modular app and software the ability to sync patches between Mac and iPad via iCloud. Halloween’s Freeware: Utilities just 4U Hofa has just updated its 4U ProjectTime analyzer to version 2.0, which is a good opportunity to highlight the 4U Series.